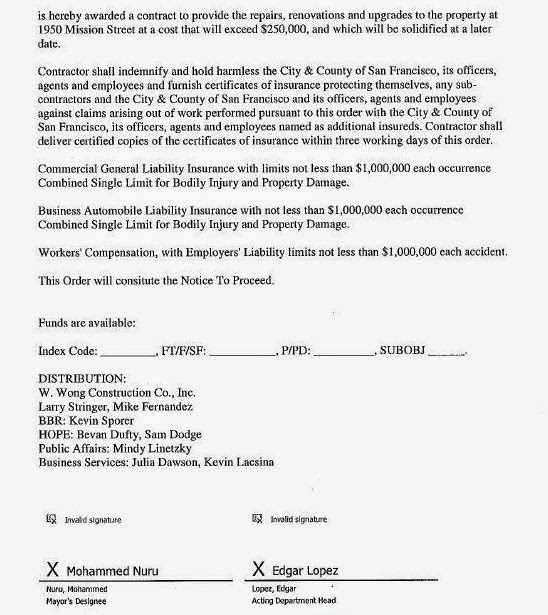 Ok, who knew about this declaration of a homeless emergency by Department of Public Works boss Mohammed Nuru on Jan. 26th, so construction work could begin on the Mission and 16th Street Navigation Center? News to me. 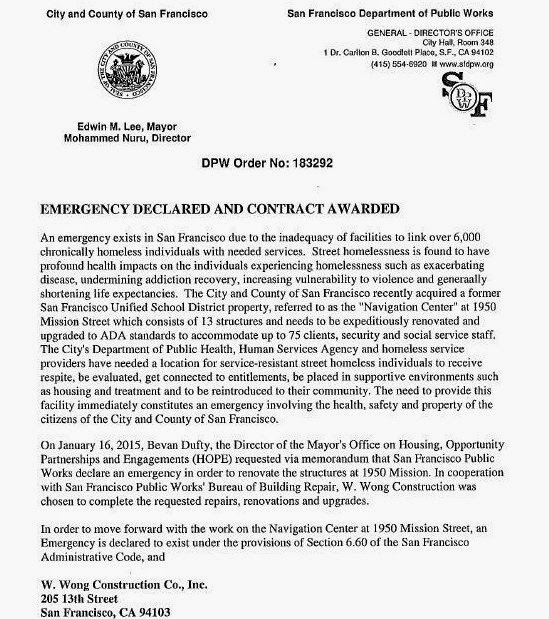 A recent public records request to the Mayor's Office for documents out of his homeless czar's HOPE Office at City Hall related to the center, which I very much very as a PR stunt during an election year, produced the two-page emergency declaration you see here. "In order to move forward with the work on the Navigation Center at 1950 Mission Street, an emergency is declared to exist under the provision of Section 6.60 of the San Francisco Administrative Code." This creative use of an emergency declaration to move City bureaucracy should be studied by homeless and affordable housing advocates to move their agendas forward.